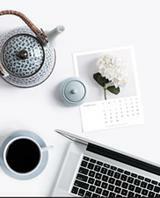 Tea Trade Mart provides professional tea education, online tea classes, and seminars for tea, coffee, wine, hospitality and health professionals. Certified Tea Specialist courses and specialty workshops at tea trade shows such as tea and food pairing. 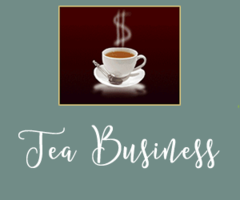 One of the most popular tea education courses is Create+Design+Manage a Profitable Tea Business - online tea courses with live coaching and tea mastermind classes. You'll also find us at many tea trade shows and tea festivals. Growing into a person who is very knowledgeable and enthusiastic about tea requires a love of tea and its history, its terroir, its health benefits - a desire to know more and a true acquired sense of the subtleties of tea tasting through sensory evaluations. Yes, you'll use all five senses to taste, evaluate and compare various specialty teas. 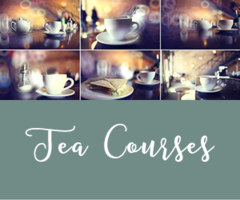 Whether you are a gourmet or a novice, a barista or a beginner, Cordon Bleu chef or culinary student, health practitioner or lead a healthy lifestyle, our tea classes can elevate you to the professional status. Get on the fast track! Tea courses are just the beginning of a lifetime of appreciation and professional tea academics. You care about your customers and we care about you. Go here to learn more. 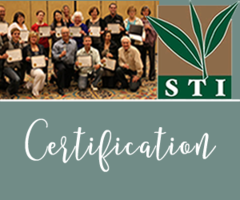 For passionate individuals pursuing a career in the tea industry or opening a tea shop or for professionals wanting to become Certified Tea Specialists. and registration for Specialty Tea Institute classes. Every month I'll send to you, for as long as you want, free news updates on all things tea. Next, there'll be a confirmation e-mail with a link to my downloadable Tea Flavor Wheel to help you define and describe the various teas you are tasting. Enjoy!